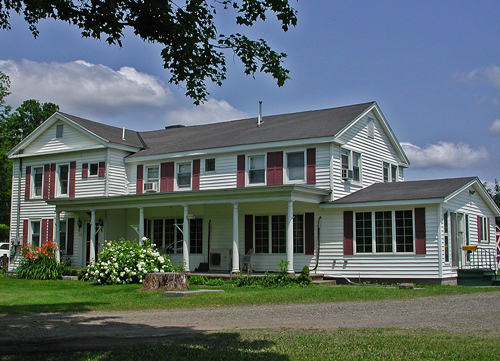 Weekly Rental Homes and Lodging near Cooperstown, NY for Dreams Park families. 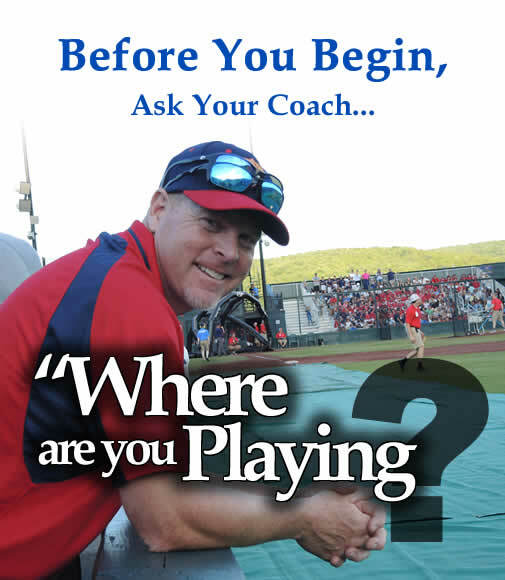 Trying to keep your baseball team together when you go to Cooperstown? 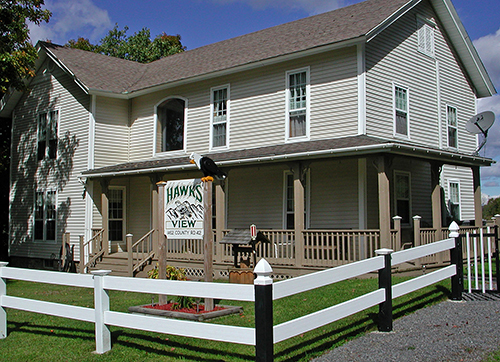 Check out our group lodging available close to Cooperstown Dreams Park. Let one of our friendly, local staff members help you find what you need. Call 607-547-6260. Or, book online, anytime! Have a Question? 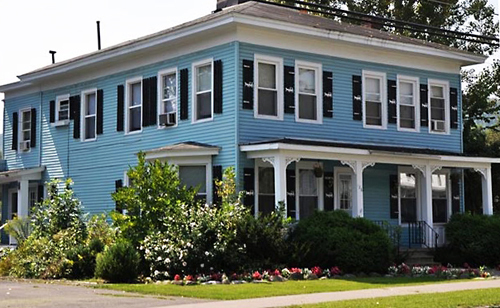 Get Personal Help from Rental Experts who Live in Cooperstown! All other amenities included ONLY if specifically listed in the full description for the property! Refundable damage deposit - separate from rental fee. Rental units are NOT handicap accessible unless specifically listed. 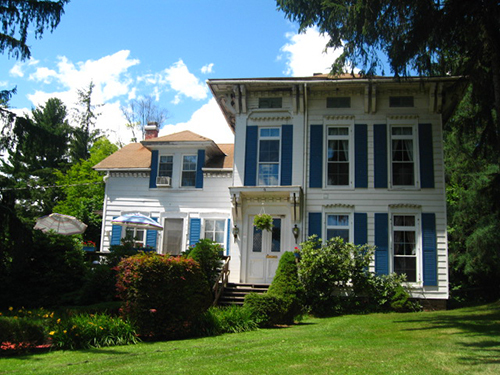 Each property is managed by the host / owner; Cooperstown Stay is the rental agent. Charming Victorian home recently renovated. Large lawn, pleasant wrap-around open deck, plentiful baths – ideal choice for multiple families who want to stay together. Less than 10 minute drive to Dreams Park. One well supervised team party welcome. Gracious, historic, Federal style, 5000 sq foot home, renovated in 2013, with open floor plan, large covered wrap around deck, large back yard that leads to a local, public village park adjacent to the back of the property. Very convenient to the Dreams Park. 2018 renovation. Originally built as a schoolhouse, expanded and converted over the years to a 6 bedroom/ 3 bath home with extensive deck. Separate game room: with air hockey, pool table, ping pong, Foosball, poker table and large-screen TV with DVD player. Outdoor basketball hoop. Very convenient to the Village of Cooperstown and to the Dreams Park. 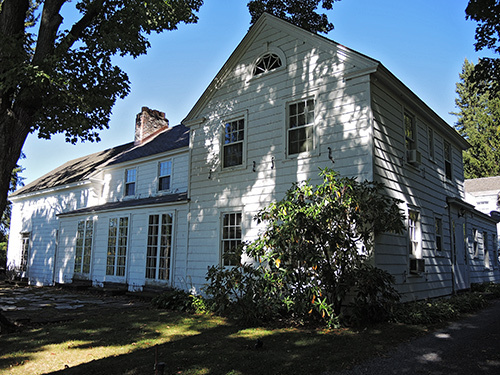 Eight bedroom Colonial style home located in Milford, very convenient to the Cooperstown Dreams Park. Creekside Cottages -NEW construction. 12 individual custom-built cottages nestled in a lightly wooded area. Common picnic area with multiple picnic tables and gas grills. A community fire pit provides family enjoyment by campfires under the stars. This family friendly offering provides the opportunity for families to be near each other and still enjoy privacy in their own cottages. 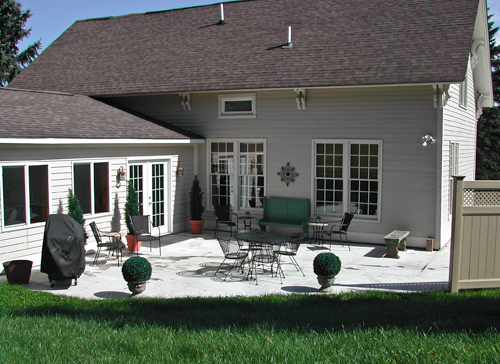 Each cottage has ample parking and a covered porch with outside seating. NOTE: Cabin #9 is handicap accessible. 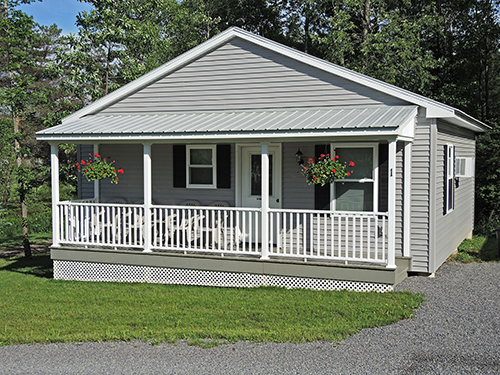 NEW CONSTRUCTION - Double Play Cabins is an ideal choice for families who wish to be near each other but still have the privacy of their own lodging. 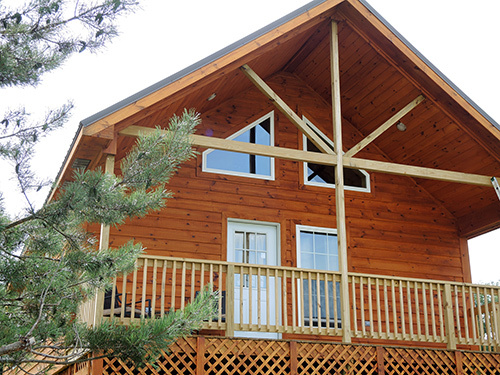 Each chalet style home has open floor plan for common areas, 2 bedrooms, 2 baths, complete kitchen and washer / dryer. Grand home on hill overlooking Cooperstown with spacious grounds and stately mature trees. Exquisite home with modern amenities; features 600 square foot great room and 350 square foot terrace. Renovated in 2008. Ideal choice for discerning guests. 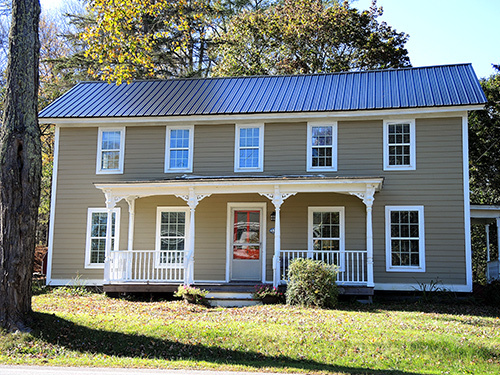 Large rambling farmhouse recently renovated. Located on a gentle hill, it has amazing views. Very large lawn with fire pit. Large outside dining area. NEW CONSTRUCTION - 2015. Custom-built cabins w/ contemporary decor. Very convenient to Cooperstown Dreams Park and village of Cooperstown shops and restaurants. Ideal for multiple families - each has private lodging and can share common areas including pavilion, game room, laundry room and outdoor fire pit. Ample parking throughout. 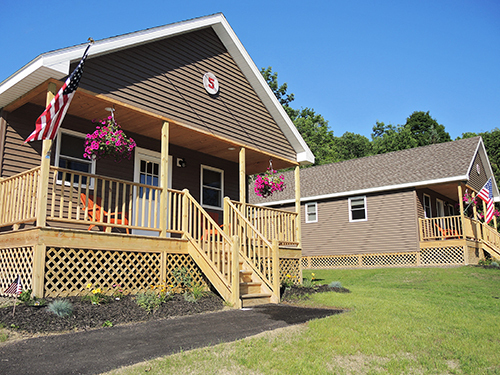 Cabin # 9 is Handicap accessible. Moonlight Graham - This delightful family friendly compound has two separate 3 bedroom homes. It is an ideal choice for families who wish to be near each other and still have private lodging space. Both have been recently refurbished. They share a back yard that includes a babbling brook,a fire pit, horse shoe pit and an above ground pool. A pavilion is provided for outside dining. A well supervised team party is allowed. New construction in 2012, this is an ideal location for teams or large groups wishing to stay together with private bedrooms and baths. Quality construction with tasteful decor, spacious rooms with private baths with granite counter tops. This offering includes 3 apartments of 2 bedrooms and 2 baths. In addition there are 8 private guest rooms with private baths. TV in every bedroom and living room. 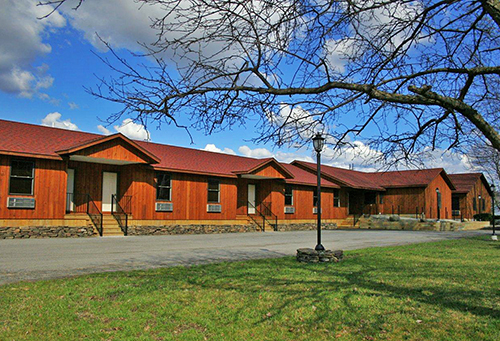 Superb lodging for large group, just 1 mile from Dreams Park. Great room and multiple common areas give ample space for guests. Team parties invited - catering for team party available. 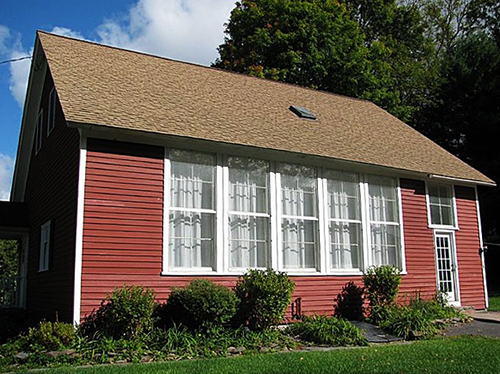 Cooperstown Stay specializes in weekly house rentals and lodging in Cooperstown, NY for families attending Cooperstown Dreams Park and other youth baseball tournaments in the area.